We design, manufacture and install silos for the construction, biomass and agricultural sectors. We have developed a broad range of products, including insulated storage, pellet screeners and high volume storage and distribution systems. 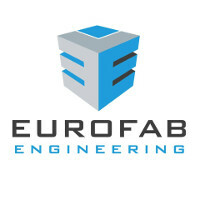 Eurofab Engineering Structures Ltd was founded in 1998 and has achieved massive growth annually since. During this period the company has built up a strong reputation at home and abroad for high quality workmanship in the field of mechanical and structural engineering and we take pride in our fast, friendly and efficient service. We are specialists in the design and manufacture of static and mobile Concrete Batching Plants and components. All equipment can be designed and fabricated to suit the client’s individual requirements. We also design manufacture Vertical Cylindrical Silos with capacities from 20m 3 to 300m 3 , these are suitable for cement, Lime, P.F.A., meal etc. and can be adapted to store bio- fuel, wood chips etc. Silos can be supplied complete with filters, aeration equipment, level indicators and lorry dischargers to suit customer's requirements. Structural Steelwork and cladding can be designed, manufactured, delivered and erected to the highest specification, including portal-framed buildings and multi-storied structures. Our company has recently diversified into the Bio-Mass Storage and handling sector – we have developed a broad range of products, including insulated storage, pellet screeners and high volume storage and distribution systems. All our products are designed and constructed to the highest specification in accordance with the relevant British Standards. We hold certification in ISO 9001 Quality Management Systems, ISO 14001 Environmental Management Systems and OHSAS 18001 Occupational Health and Safety Management Systems. We are also fully certified to BS EN 1090 ExeC2"